The FBI has arrested and charged UA assistant basketball coach Emanuel “Book” Richardson with a battery of charges, including conspiracy to commit bribery, solicitation of bribes by an agent of a federally funded organization, conspiracy to commit honest services fraud and wire fraud conspiracy. The initial investigation revealed the related scheme involving “significant cash payments” by athletic advisors and executives of Adidas to the families of high school basketball players at the request of coaches at two of the universities, in exchange for agreements by the athletes to attend the universities and later to sign with the advisors and Adidas, the complaint says. 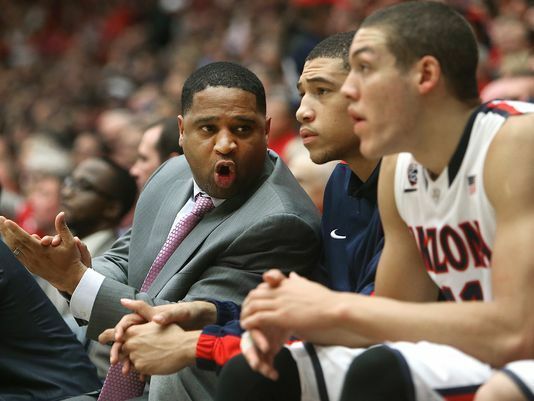 Federal agents describe a months-long scheme in which Richardson colluded with a sports agent and financial manager to funnel Arizona Wildcats stars to them. Here’s a timeline of Richardson’s involvement, according to a complaint filed in U.S. District Court. The complaint against Richardson says that between February and September, co-defendants Christian Dawkins and Munish Sood paid Richardson $20,000 in bribes, “some of which Richardson appears to have kept for himself and some of which he appears to have provided to at least one prospective high school basketball player” in order to recruit the player to UA, the complaint says.